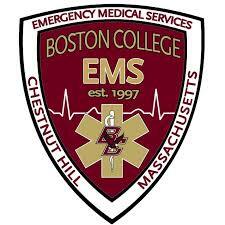 At the Boston College Eagles football game this past weekend, stellar care was provided by Eagle EMS and Armstrong’s: Keegan Blute, Jim Brooks, Sam Dickens, Sean Mangan, Antone Newell, and Jeff Scafidi. A call came in for an unresponsive fan in the upper deck bleachers of Alumni Stadium. Upon arrival, it was assessed that the patient was in cardiac arrest. Eagle EMS and Armstrong EMS worked together to start CPR, defibrillate the patient and apply the Lucas device. The patient was extricated from the floor of the stands and taken to the ambulance. In the ambulance, the patient had a return of his pulse and blood pressure and arrived doing well at the hospital. The next day, we received compliments and gratitude from the patient’s physician who credited the team efforts and talents of Armstrong and Eagle EMS for saving this fan’s life.